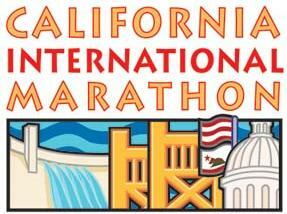 The California International Marathon (CIM) was founded in 1983 by the Sacramento Running Association (SRA) and brought a world-class running event to the Sacramento area. The same course developed then, and used today, provides runners with a very fast, point-to-point, net-downhill marathon with a spectacular finish in front of the California State Capitol. 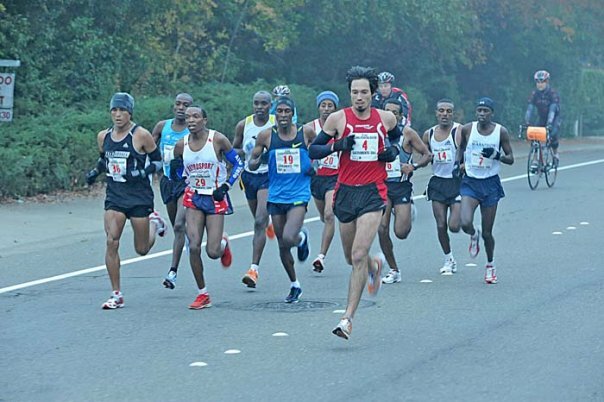 The CIM is certified and sanctioned by USATF, and therefore is a Boston Marathon qualifier and an Olympic Marathon Trials qualifier. The Sacramento Running Association is a 501(c)(3) nonprofit organization. 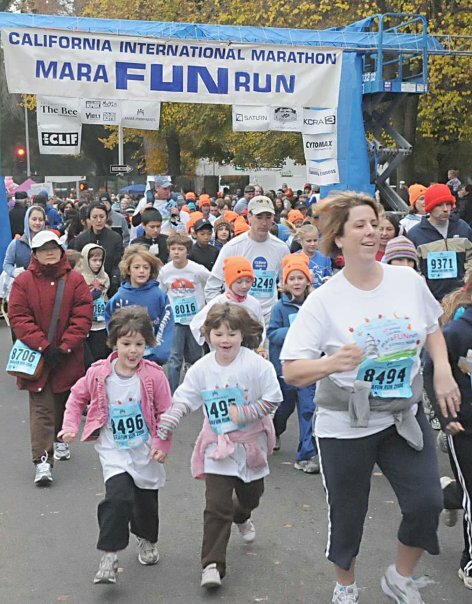 The fast, net-downhill course follows an historic gold-miners' route: it begins at the Folsom Dam, passes through semi-rural Sacramento suburbs into bustling midtown Sacramento, and has a thrilling finish in front of the spectacular California State Capitol.The field of 9,000+ runners receive outstanding support from 2,000+ experienced volunteers. They also enjoy mile-by-mile course entertainment, the cheers of thousands of spectators, and the beautiful fall colors of Sacramento's famous old growth trees.The fast course attracts not only runners seeking a personal best time, a Boston Marathon qualifying time, an Olympic Marathon Trials qualifying time (USATF Course Certification #CA07004RS), but also those hoping to achieve their first marathon finish. In addition, top athletes from all over the world compete for a share of the $50,000 prize money purse and for record times.